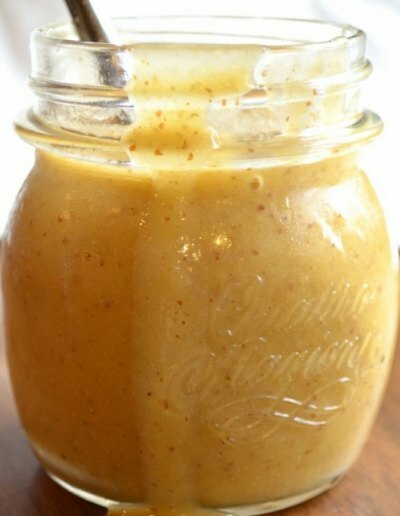 I have a homemade honey mustard dressing recipe (and many more) that are so simple to make. I love this with chicken fingers - I even posted the recipe below. This salad dressing is addicting. I crave the dressing and make a quick salad to satisfy my taste buds. I have included a honey mustard dipping sauce recipe too. I hope you enjoy these recipes as much as I do. Use fat-free yogurt if you want a healthier version. Don't forget to check out more easy salad recipes at the end of the page. Whisk the above ingredients together and store in the refrigerator. Enjoy this homemade honey mustard dipping recipe. Mix all of the ingredients together in a bowl and chill overnight before serving. Nothing goes better with honey mustard dressing than chicken fingers. In a small bowl, mix together - one beaten egg, buttermilk and garlic. Place the chicken strips in a large resealable plastic bag and add the buttermilk mixture. Seal and refrigerate for 2-4 hours. In another large resealable plastic bag, add the flour, bread crumbs, salt and baking powder. Set aside until the chicken strips are done marinating. PREHEAT the oil to 375 degrees in a large heavy skillet or deep fryer. Take the strips out of the bowl and keep the buttermilk mixture. Place some of the strips in the flour mixture and shake to coat. Dunk these strips again in the buttermilk mixture and re-coat again in the breadcrumb mixture. Place in hot oil and fry until golden brown, and juices are clear. Drain and serve with homemade ranch dressing or barbecue sauce.